CD in digipak limited edition 500 copies. Info: "Totsoluna Disc" label is the new direction of A\ or Le Syndicat Electronique, after the Invasion Planète Recordings adventure. Add Info. Naharda Ior Yann and Victor are the two people behind this new project very enigmatic French. No further information is revealed on the disc, no title is assigned to pieces. Purifies and mystery. The sound pieces are short, rarely exceeding two minutes, running as photographs or prints. A method that approximates the Iosophis uncompromising approach a group like The Moon Lay Hidden Beneath a Cloud. However, the music is different. The duo will look in traditional music, with lots of acoustic instruments (guitars, accordion, violin, flutes, etc..), And the ritual music, supported by tribal drums and resonant bells, to create an environment sound as primitive as melancholy. The notion of temporality fades to favor a universal language and warm, cradled in a Mediterranean atmosphere in Nature seems to be a constant source of inspiration. More than neofolk folk, some titles may refer to a formation as Arnica, roughness less brutal. Brighter than truly dark, willingly taking the Christian tradition, the compositions do not go looking in a less emotional territory that only training related to pagan inspired this scene had cleared. Back to the roots, the language of their ancestors. 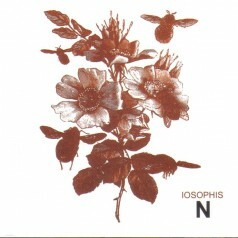 Iosophis in his asceticism and minimalism of expression, can also evoke more cinematic universe, somewhere between The Wicker Man and The Ballad of Narayama. Language unfolds, miles away from anything that can happen now in France. Customer evaluation for "Iosophis (Le Syndicat Electronique) - N CD (Lim500)"